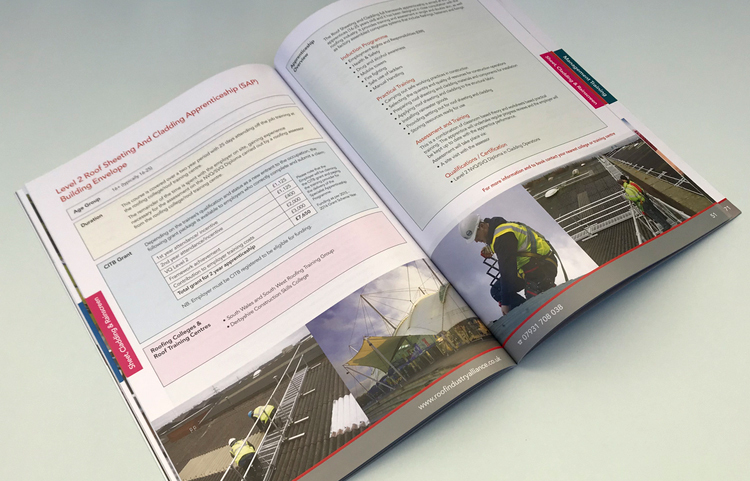 Andrew Burdett Design have undertaken a wide range of design and print jobs for the a wide variety of clients in the roofing industry including roofing colleges and training institutions. 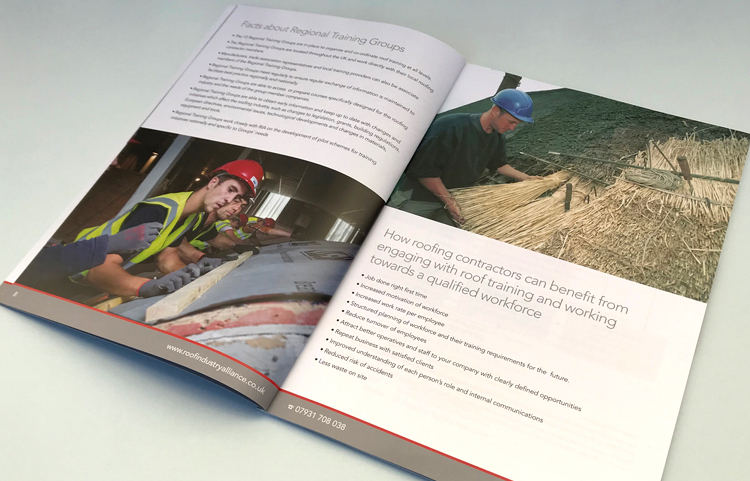 Here is an example of the prospectus we designed and printed for the Roofing Industry Alliance; a trade body with it’s HQ in London, that is involved in the training of roofers of all abilities and ages, from apprentices through to managers. 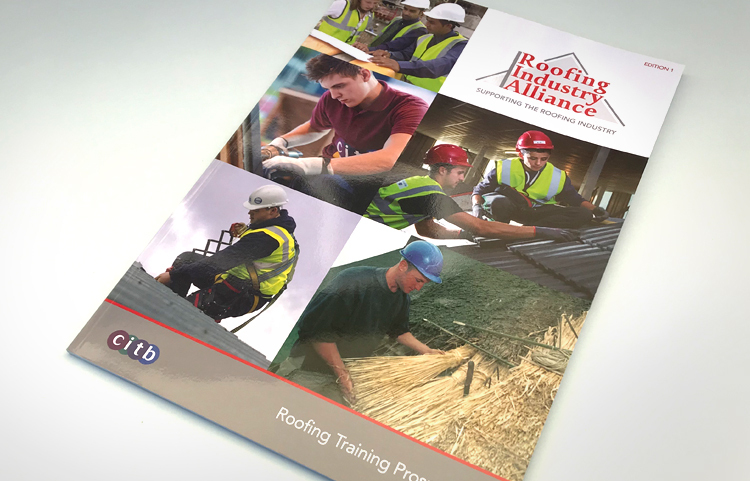 This 72 page, full colour, A4 brochure is a comprehensive guide to the Roofing Industry Alliances offering of apprenticeships, courses and qualifications. A roof sheeting and cladding course double page spread example. Regional roof training groups spread design.